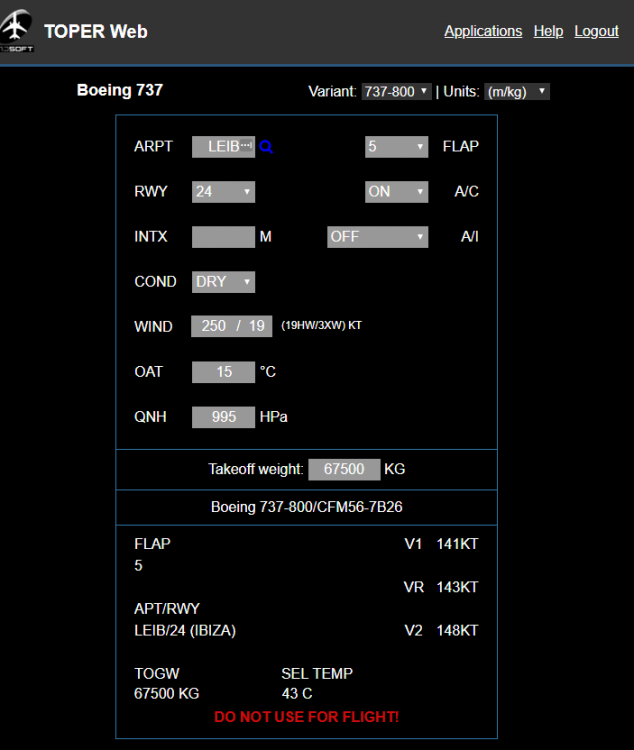 737-800 ability to calculate maximum TOW available for given conditions? 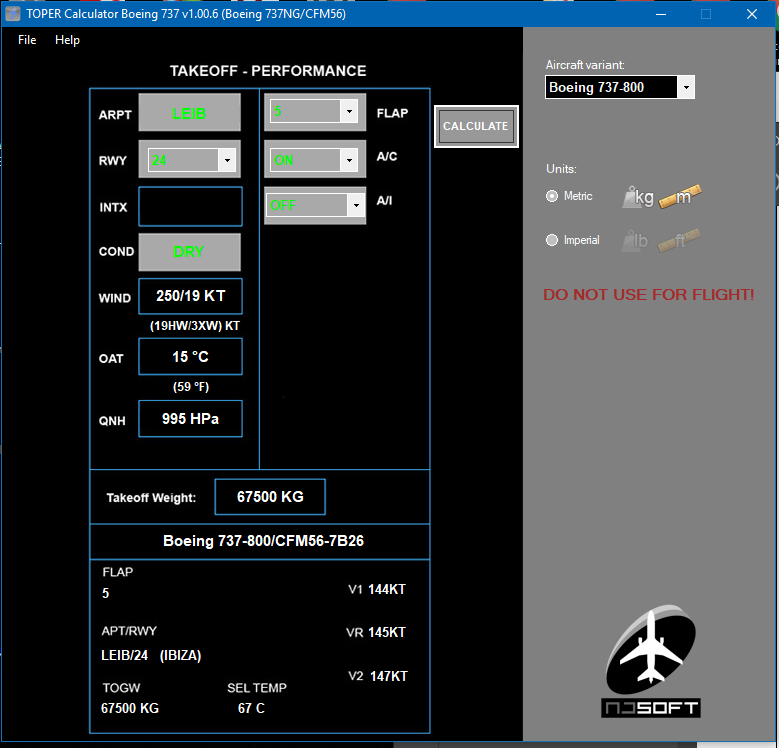 I have got a chance to play with real Boeing performance app and it has very nice feature of calculating maximum take off weight you can have for given conditions. It does this when you intentionaly ommit the Takeooff weight entry. Do you have this on your roadmap? It would help a lot while planning for possible payload/fuel. P.S. Just a note - I am using web version of the calculator. Friend of mine bought Windows desktop version. As we fly in shared cockpit, we do our calculations separately and compare the results as we should do in real life. To our surprise, for the same conditions and aircraft selected (the 738) we got slightly different result. and thank you for supporting TOPER. Yes, I could actually implement that feature and it will be one of the first thing to be implemented in the coming updates. Regarding the desktop version and the web version discrepancy: could you please send me the exact data you have used to enter, so I can replicate the issue on my end? Thank you, for MTOW calculation, this is great news! About the discrepancy between desktop and web app: we tried today again. Please see attached results. While Vspeeds differ by few knots, the assumed temperature difference is huge. It should solve the discrepancy issue you are having.